Daymark. 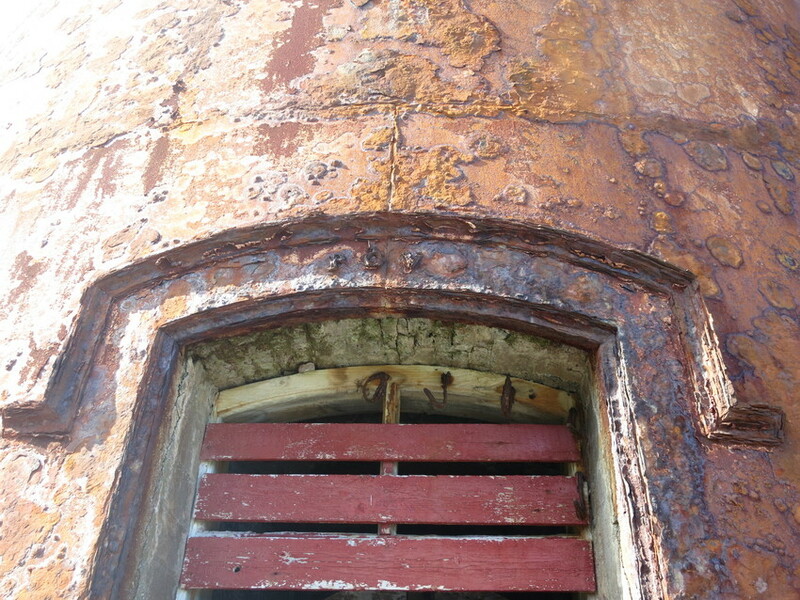 Was originally a 27 m tall cast iron tower built in 1858, at the time among the tallest lighthouses in the country. 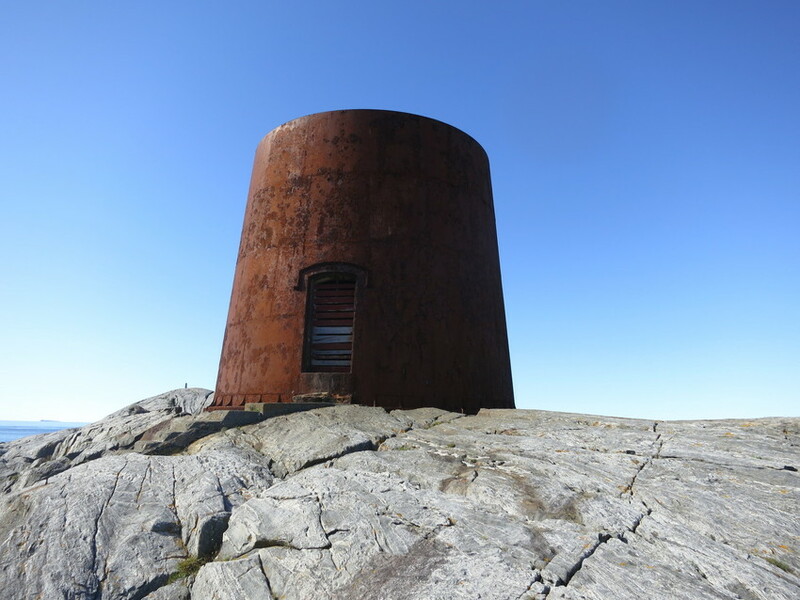 The upper part of the tower was dismantled and re-erected as Sklinna lighthouse. 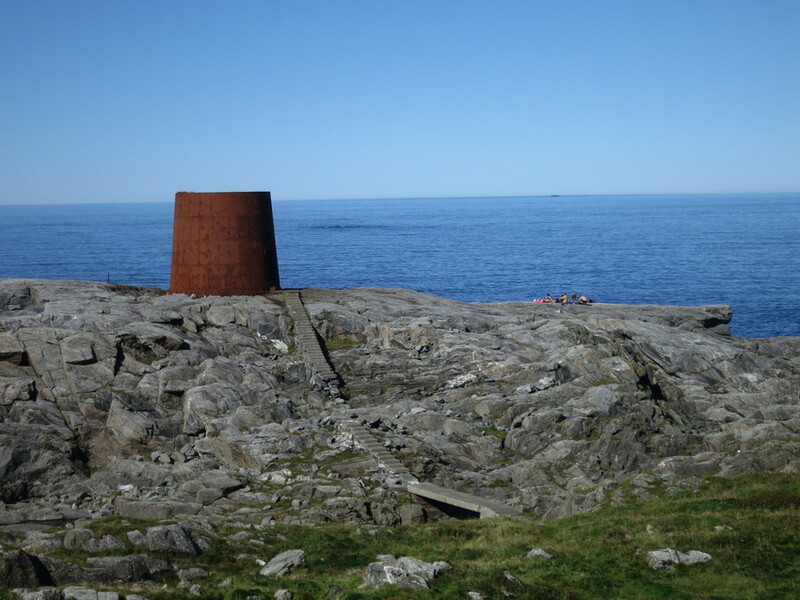 The lantern was moved in connection with the building of a concrete lighthouse in 1935. During World War II further sections of the tower were dismantled. 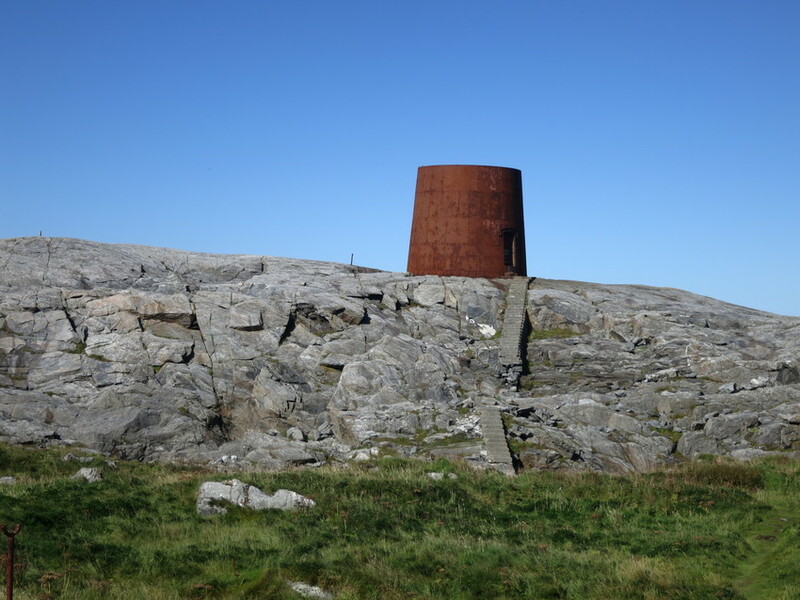 But an 8 m tall section was retained as a daymark.